Christmas always begins with the children’s concerts and nativity plays. 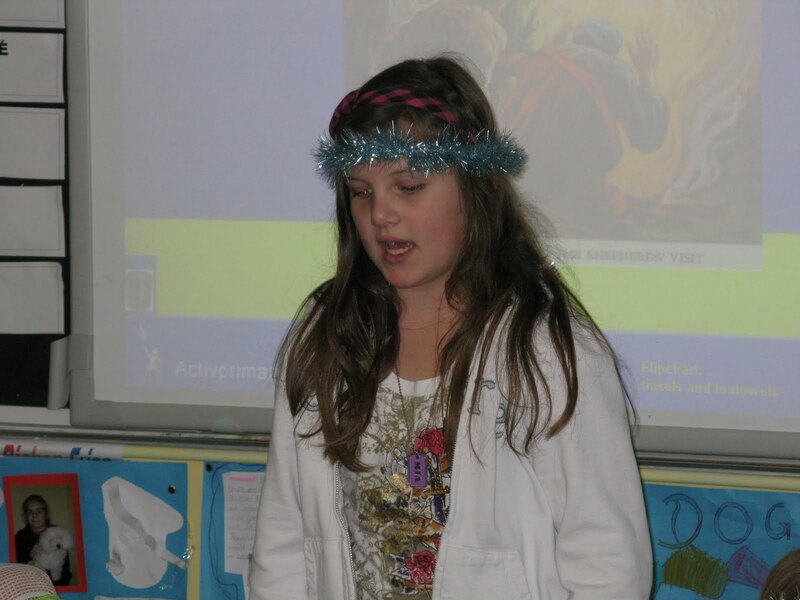 Roisin ”I don’t do singing’ is a member of the school choir below and Mia (above) was cast as an Angel this year! 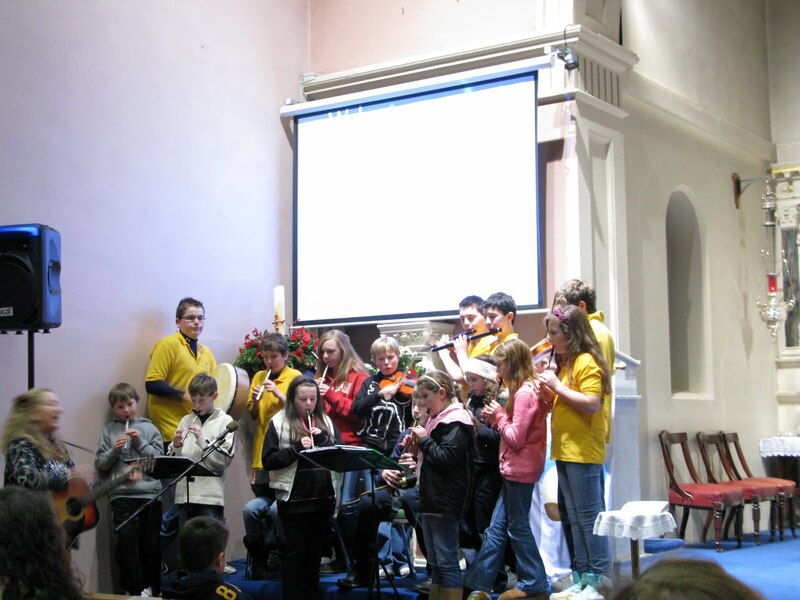 Christmas Eve Mass was made all the better by Cumann Naomh Brid Traditional Musicians who played. Mia is on tin whistle on the far right! My dear old dad used to always say that ‘kids knock more fun out of the box that the toy that came in it’… you were dead right Dad! We finally got our wished for snow on New Years Eve, making it magical! The next day Simba ventured out and got pelted with a snow ball. His face says it all!!!! 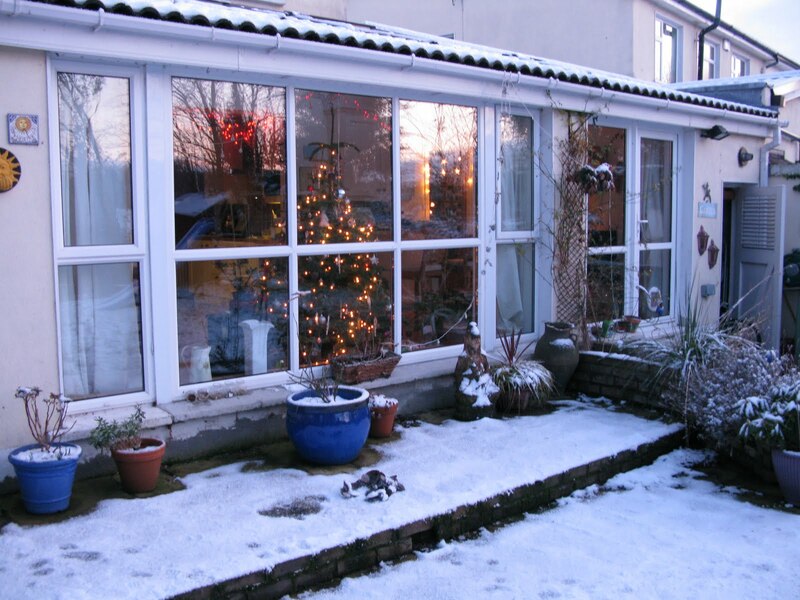 You need snow in the garden to make a Christmas Tree complete! And so the sun sets at the end of the first day of a brand new year and new decade. 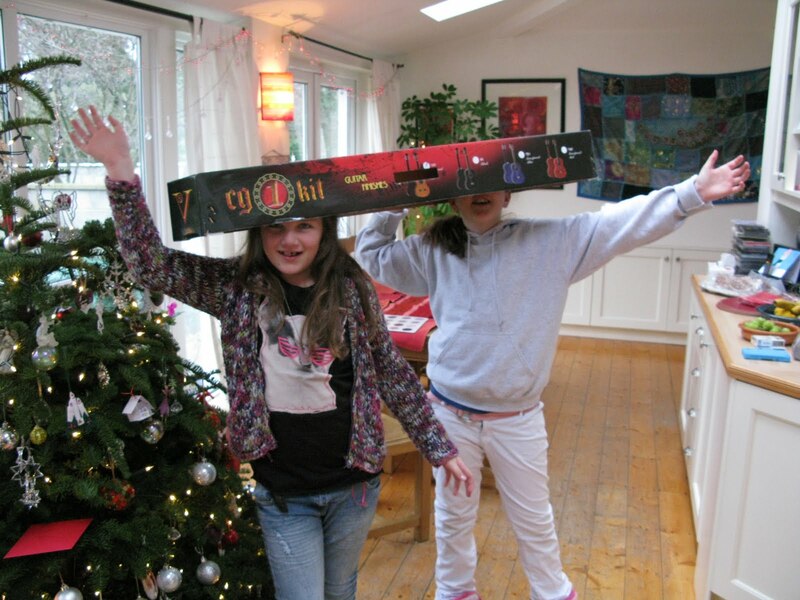 HAPPY NEW YEAR TO EVERYONE….. May 2010 be as magical and perfect as its first few hours! Poor Simba! 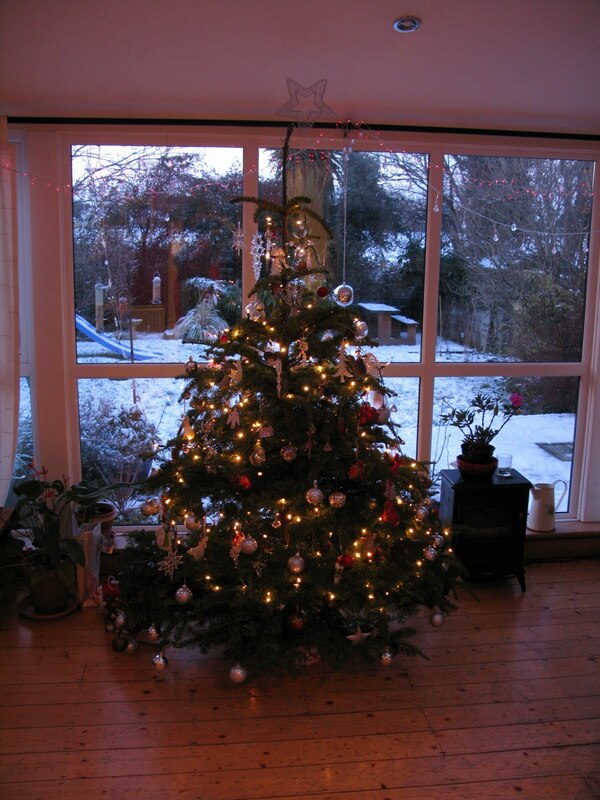 – and what a beautiful room that is with the christmas tree in! Great Photos! 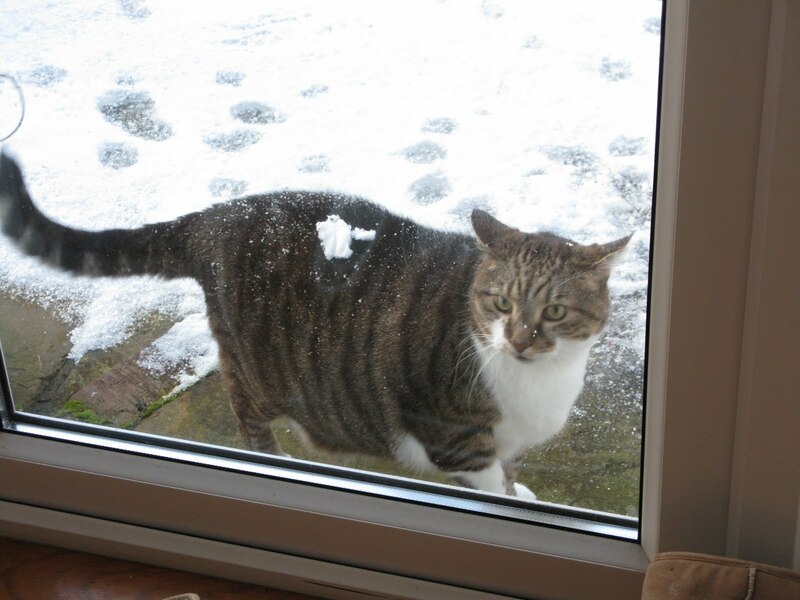 Louie looked as bewildered as Simba when he experienced his first snow! Loves it now though. 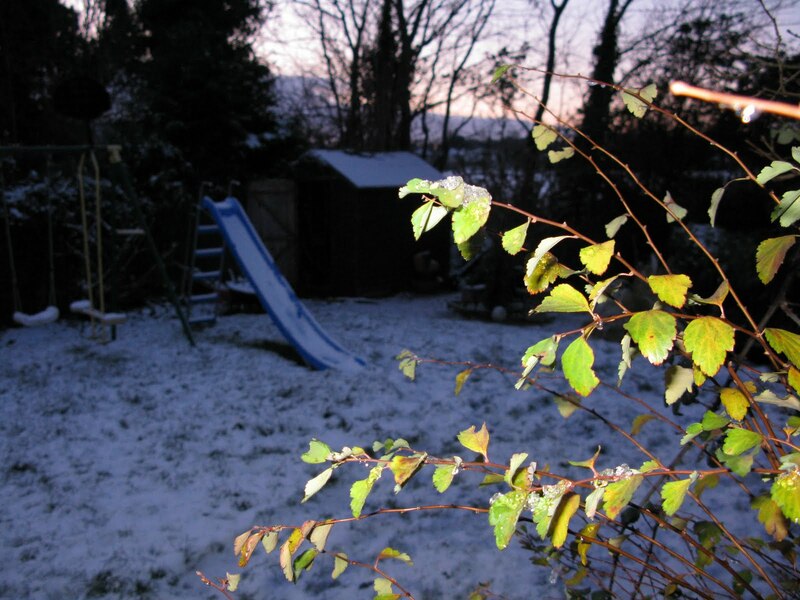 Snow makes the surrounding very ethereal, don't you think? Thanks everyone… my tree was nice (for a change) this year… think it was cos I bought it early one morning and Mr Christmas Tree Man said it was fresh down from the Wicklow Mountains… it was a happy tree!! !